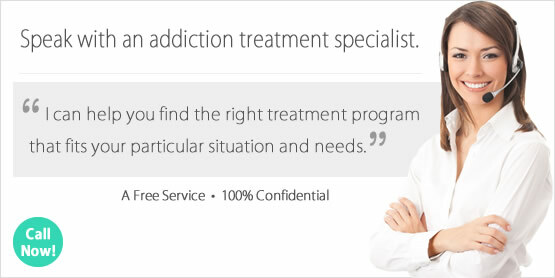 Looking for a Drug Rehab or Alcohol Rehab Center in South Dakota? To determine the right drug rehab in South Dakota it is a good idea to carry out a fair amount of research on the topic. There are a number of different drug rehabilitation programs in South Dakota; however, they can generally be classified into two basic categories: inpatient and outpatient. Both types of rehabilitation programs provided effective addiction treatment and support during the recovery process. Nevertheless, their rehabilitation environments differ as does the intensity of the program itself. For example, inpatient treatment has the recovering individual live in the rehab center surrounded by staff around the clock. Whereas in outpatient treatment the recovering person continues to live at home and maintains many aspects of their day to day life while in the program. The process of choosing what type of program will fit the needs of the addicted person is sometimes best determined by a professional. Speaking with a medical professional (e.g. physician, mental health counselor, etc.) will assist in guiding the decision making process. Likewise, it will ensure the addict receives the appropriate level of treatment for the severity of their addiction. While many addicted persons would choose to enroll in an outpatient program in South Dakota, this is not always the best fit for the severity of their addiction. This is especially true for those who are unable to maintain their sobriety when away from the treatment facility. The benefit of working with a professional when choosing a program is having a clear understanding of what can be expected from the treatment center, as well as what type of commitment it will require from the program participant. Officials in South Dakota acknowledged in a recent news article that methamphetamine use is on the rise throughout the state, especially in rural areas. South Dakota Attorney General Marty Jackley commented, "I can tell you from across the country as I talk to other Attorneys General there is a rise in meth use and abuse. Unfortunately, we're breaking yet another state record on the number of meth arrests. We're going to be a little over 2,000 arrests this year, which is a significant increase in what we're finding in juveniles as well as other individuals in rural areas of South Dakota using methamphetamines." Receiving alcohol treatment in South Dakota will help the addicted person address their problem drinking and develop healthy ways to handle life's ups and downs. Treatment for alcohol addiction often involves detoxification, counseling or therapy and in some cases medication to prevent cravings and relapse. During 2013, a staggering 48.7% of the individuals receiving addiction treatment in South Dakota cited alcohol as their primary substance of abuse. This group was by far the largest portion of enrollments into treatment programs in South Dakota during 2013. The gender ratio of the program enrollments was predominantly male (75.8%), with only 24.2% of the clients receiving alcohol treatment in South Dakota being female. In the 2013 Behavioral Health Barometer published by the Substance Abuse and Mental Health Services Administration (SAMHSA) the article reports South Dakota's rate of alcohol abuse and addiction among residents 12 and older was significantly higher than the national average between 2011 and 2012. During this time period the national rate of alcohol abuse and addiction was estimated to be 6.6%; however, South Dakota's rate at the time was 8.7%. Getting help to overcome alcohol addiction is an important step in the recovery process. Without alcohol treatment, it is likely that the addict will lack the skills to maintain sobriety and regain control over their drinking. Inpatient drug rehab programs have the program participant move into the treatment center to receive care around the clock. Outpatient drug rehab programs typically have the program participant attend the treatment center during the day or evening while they continue living at home. Key features of inpatient treatment in South Dakota include access to professional help 24/7 during the person's time in the program. Additionally, the recovering person is afforded the time to focus solely on their recovery. They do not have to balance addiction treatment and maintaining aspects of their day to day life as they would in outpatient rehab. Beneficial aspects of outpatient treatment in South Dakota include the opportunity to live at home or in a sober living program during treatment. This allows the recovering person to continue working or going to school during their recovery. Also, the benefit of continuing to live at home can help the program participant through their recovery with the support of their family and friends. Lastly, outpatient rehab usually costs less than inpatient treatment. This is because outpatient treatment does not involve all-day care for an extended period. The National Survey of Substance Abuse Treatment Services (N-SSATS) conducts an annual state by state report on specific fascists of the substance abuse treatment programs operating in the state. The survey data from the March 29, 2013 report indicates there were 63 substance abuse treatment facilities operating in South Dakota at that time with 3,267 clients enrolled. Of the 63 facilities, 51 provided outpatient treatment, 19 were residential rehab centers and 6 were hospital inpatient programs. What Does Inpatient Rehab in South Dakota Involve? Inpatient treatment in South Dakota involves dedicating a period of time to focusing on getting clean and developing the personal skills to maintain sobriety. When an addict commits to enrolling in an inpatient treatment program they will pack up and move into the rehab center during their recovery. This dedication to getting clean and sober is one of the best ways to stop using drugs or alcohol. The experience provides the program participant with time to experience living their life clean and sober before having to do so in the "real world". The duration of inpatient treatment varies from program to program. Short term inpatient treatment typically lasts a month or less, while long term inpatient treatment can go on for several months. Figures from the March 29, 2013 N-SSATS article on South Dakota discloses there were 19 inpatient programs at the time of the survey. Many of these inpatient programs provide several treatment lengths ranging from short-term to long-term care as well as detoxification services. Of the 19 inpatient treatment programs in South Dakota at the time, 10 provided short-term care (less than 30 days), 14 provided long-term care (greater than 30 days) and 3 provided detoxification services. Persons seeking inpatient treatment in South Dakota will greatly benefit from speaking with one of our addiction specialists about rehab centers in their area. What Does Outpatient Rehab in South Dakota Involve? The decision to enroll in outpatient treatment in South Dakota involves committing to regularly attending the rehab center and staying off drugs and alcohol. Many program participants find it possible to work their outpatient schedule into their daily life without too much trouble. It is the requirement of remaining substance-free during outpatient treatment that often causes the most issues for program participants. This type of treatment allows for greater freedom in the person's daily life, yet also providing more opportunities to slip up and relapse while in the program. During outpatient treatment in South Dakota the recovering individual can expect to participate in group sessions as well as educational discussions on addiction, recovery and relapse prevention. Figures from the March 29, 2013 N-SSATS survey notes there were 51 outpatient treatment programs in South Dakota. Nearly all of the outpatient treatment centers in the state offer more than one type of outpatient treatment. Of the 51 outpatient treatment centers in South Dakota, 49 provided regular outpatient care, 37 delivered intensive outpatient care, 10 offered day treatment/partial hospitalization, 2 provided detoxification, and only 1 delivered methadone/buprenorphine or Vivitrol maintenance. Sobriety is achievable, and with the help of our addiction specialists, we can place you or your loved one in the right treatment program in South Dakota. Please contact us today to learn more about inpatient and outpatient recovery programs in South Dakota.